This tale of Vikings at odds with Britain comes from the man who had unleashed the terrors of Black Sunday just one year prior to this outdoor adventure, Mario Bava. Opening with a prologue, a Viking settlement is slaughtered in a bloody battle for 1961 standards and a few survivors take to the sea returning to their homeland. Behind them they’ve left a murdered King whose two small sons have been separated. One to return to his Nordic lands while the other will be discovered along the shores of Britain and adopted by the widowed Queen, raised as if he were her own child. With the passage of time each child grows to be a warrior whose destines are about to clash. 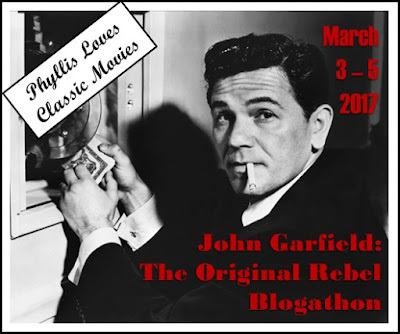 Leading man Cameron Mitchell having left Hollywood to do a number of films overseas takes top billing here but surprisingly, not the title role. He plays Eron who wants to lead the Viking horde back to Britain and avenge the murders of his Father and little brother. To do so he’ll have to fight for the command in a rousing, colorfully staged duel in the Viking camp. Showing the wisdom of a King, Mitchell doesn’t kill his opponent but spares him so that they may both fight their true enemies. While Mitchell has taken leadership of his people, his brother Erik played by George Ardisson is being made a Duke and commander of the armies that will defend the shores from invading Norseman. Upon the seas the pair will first cross when their vessels meet in battle. Fiery crossbows, swords and axes will send many to the depths of the sea and in the end Mitchell and his men are victorious. Through skullduggery among the Queen’s inner court, Mitchell will lay siege to his enemies and take the Queen hostage back to his own lands. Ardisson’s Erik escapes death and finds himself washed up on the shores of Mitchell’s lands where he will not only attempt to free his Mother the Queen but find time to fall in love with the beautiful Alice Kessler. If you think you may be seeing double, look again. Miss Kessler does indeed have an identical twin, Ellen Kessler. Ellen happens to be the woman of Mitchell. Sure there’s a lot going on here in this tale of separated brothers who happen to be on opposing sides of a vicious war that also sees them wooing a set of gorgeous twins while at the same time bearing the same tattooed birthmark giving them the right to the Viking kingdom. But it’s fun and it’s from Bava. The brothers at odds will face off more than once as the plot plays itself out to what most viewers should realize is the inevitable outcome and the customary Viking Funeral at the fade out. 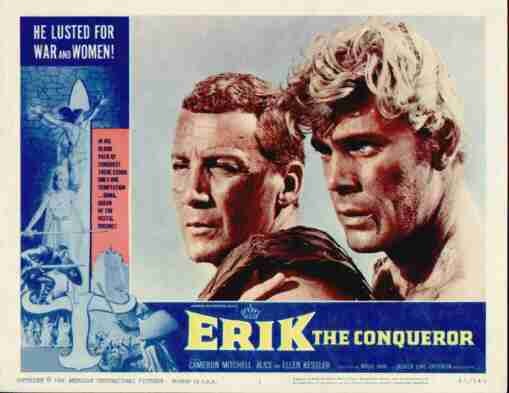 It’s rather easy to conjure images of Richard Fleischer’s The Vikings that pitted brothers Tony Curtis and Kirk Douglas at odds while watching this modestly budgeted feature from a director who’s star has only risen with the passage of time. 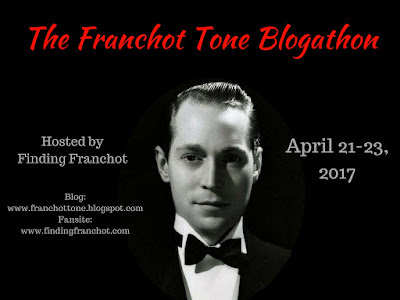 This proved to be the first of three features that Bava would team with leading man Cameron Mitchell for. Blood and Black Lace and Knives of the Avenger being the others. I’m quite sure I’ve stated here on other Mitchell offerings I’ve wrote about that he’s an actor I’ve always liked and while many of his later films are exploitation fare and I do enjoy a number of them, I kind of wish he’d made that step into the A list of actors coming from the 1950’s into the 60’s. Ardisson as Erik had already worked with Bava on the peplum entry Hercules In The Haunted World. Like most of Bava’s color features, this one offers a kaleidoscope of purples and reds that prove pleasing to the eye. 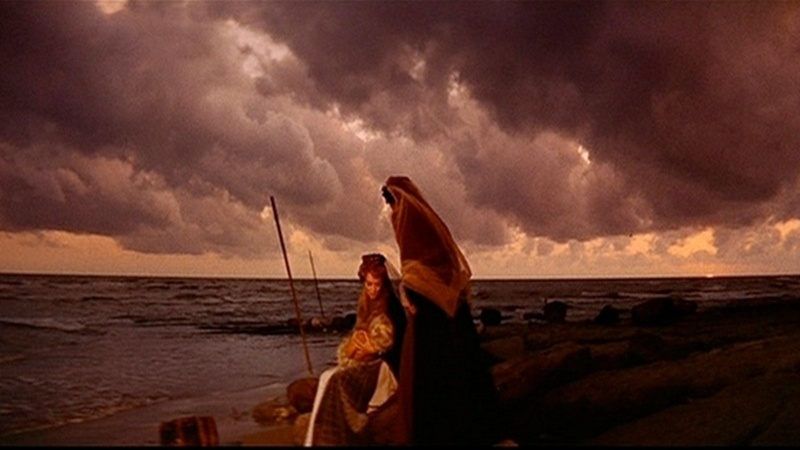 There are some great sets here within the Viking settlement and Bava’s use of the camera along the shores following the opening slaughter are effective and it’s notable that he didn’t wait for the clear sky shot. It’s overcast and cloudy and stands out all the more because of it. Far be it from me to preach the virtues of Mario Bava and his stylish films. Are they an acquired taste? Perhaps, but it’s an easy one to acquire. Watch just one and you’ll be binging on the rest. Think of how Leone is generally regarded as a talent above all others in the spaghetti western world. 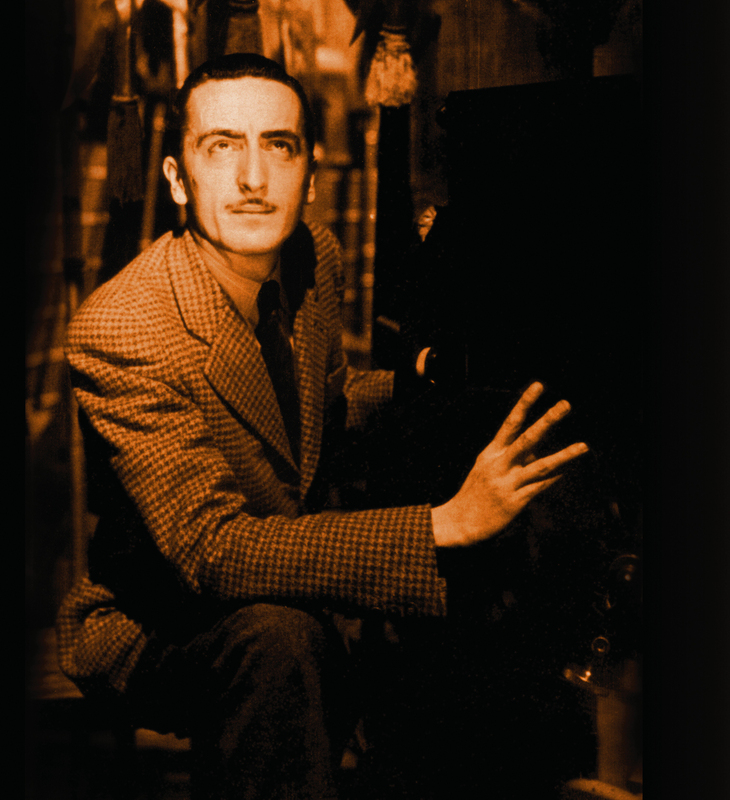 Bava’s work stands out among his contemporaries in peplum, horror and giallo genres of the era. 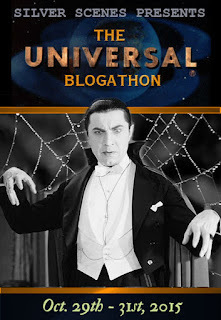 Once I found access to some of Bava’s horror output, it opened up a whole new avenue of cinema to learn and appreciate. Before acquiring copies, I would repeatedly rent Black Sunday from a local video shop that went out of it’s way to get copies of foreign films. This led to Kill Baby Kill, The Whip and the Body, Black Sabbath and others. Anchor Bay eventually climbed on to the Bava wagon and made his films far easier to get hold of. 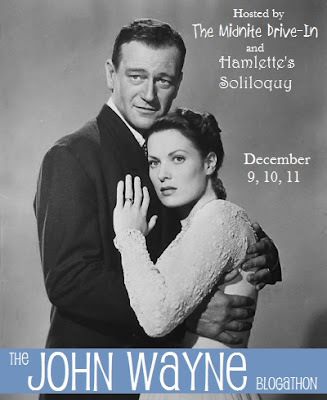 Now there’s no excuse not to have a look at his films and the world in which his plots revolve. For more on Bava one should seek out the work of Tim Lucas. Film historian and all around expert on the subject of all things Bava. Collector that I am I still would love to get a copy of his book All The Colors of The Dark. Supposedly the definitive guide to Mario Bava’s career. 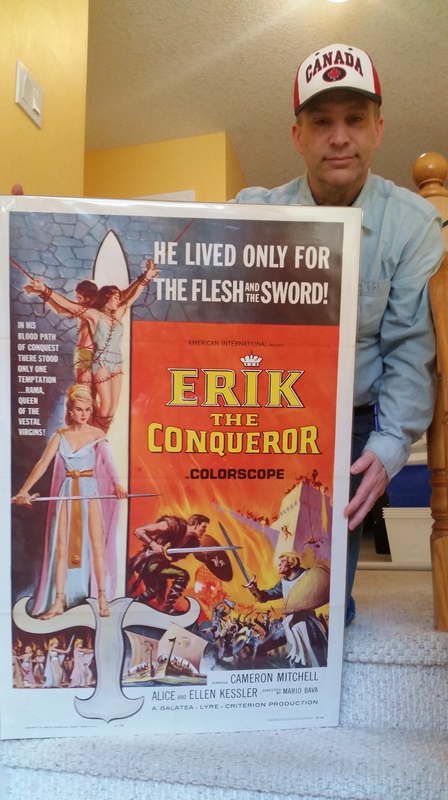 While I don’t have that book, I do indeed have an original 1963 AIP one sheet for the North American release of Erik The Conqueror here at home in the vault. Oh, sounds fun. I’ve never seen this and I’ve only been dipping into Bava’s work relatively recently. What I’ve seen so far has been visually fabulous to say the least. 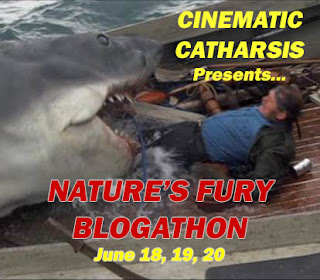 Fun it is and I think you’ll enjoy the bulk of Bava’s films and the look and feel of them. They really are addictive. Those purples and reds may be pleasing to the eye, but I think my gaze would be focused entirely on the twins! And correct me if I’m wrong, but did you recently repaint the walls of your Loft of Mysteries? They look different to me for some reason. Those twins are eye catching to be sure. Given a choice I’ll choose Hammer’s Twins of Evil. No repainting around the vault just yet though it’s in the planning stages. Ooooh, I’ll have to look up Twins of Evil! And for whatever reason, those golden yellow walls of the loft looked new…I must be hallucinating. That, or it was just the end of a long work day. Take a break from work and look up the Collinson twins. I just did, and…thank you.